On "Good for You," the buzzing Portland rapper proves himself a whip-smart MC, versatile enough to slip from the mischievous swagger of “Caroline” to more thoughtful modes with unique ease. [POP RAP] Around this time last year, Aminé came out of nowhere and did the impossible—he put Portland hip-hop on the national radar. "Caroline," the Benson High School alum's viral juggernaut, ripped its way through the zeitgeist of summer 2016, going triple platinum and launching the 23-year-old from Soundcloud heatseeker to radio-hit wonder boy. When an artist is catapulted into the spotlight as abruptly as Aminé, though, it's often the follow-up that really proves their worth. It doesn't always work out. But with his debut full-length Good for You, the rapper proves himself a whip-smart MC and potential pop star, versatile enough to slip from the mischievous swagger of "Caroline" to more thoughtful modes with unique ease. Related: "Aminé Is a First-Generation Ethiopian-American Rapper Bringing Portland Hip-Hop to the Global Stage." Aminé's buoyant odes to romance continue on songs like "Hero," the flute-driven "Spice Girl" and "Wedding Crashers," a biting tag team with Migos member Offset. In contrast, the Nelly-abetted "Yellow" is a celebration of self, a peacocking anthem for those still blessed with the invincibility of youth. The slow, dizzying synthesizer riff works well with the bursts of drum machine, acting as a metaphor for adolescence itself—it drags on, then disappears impossibly fast. "Hell yeah/I'm feeling myself," the chorus trumpets, a reminder of what it's like to be under 25 and drunk with confidence. The influence of Outkast runs deep throughout Good for You. In the past, Aminé has made no secret of his debt to the Southern rap legends—see the flip of the "Ms. Jackson" chorus on his Calling Brio EP—but here, he makes it even plainer, declaring at one point, "I'm Andre's prodigy, you won't find a hotter me." Indeed, Aminé exhibits a level of cool somewhere between Southernplayalisticadillacmuzik-era André 3000 and Pharrell in his pre-big-hat phase. He's helped greatly by the production, which does a lot with a little, allowing Aminé's elastic voice the space to stretch out. But Aminé has more on his mind than girls and good-natured braggadocio. On "Turf," he delivers a tender love song to his hometown that doesn't ignore its major flaws. "They kickin' out the blacks and all the houses getting cloned," Aminé laments over a soft guitar riff. The spare instrumentation pairs well with the weight of the issues Aminé is wrestling without getting maudlin. Good for You is, for the most part, a classic summertime party record. But "Turf" proves Aminé's ability to slow down and tell a compelling, emotionally complex story about where he comes from. Let's hope that, with his success, more Portland artists will get the chance to do the same on a national stage. 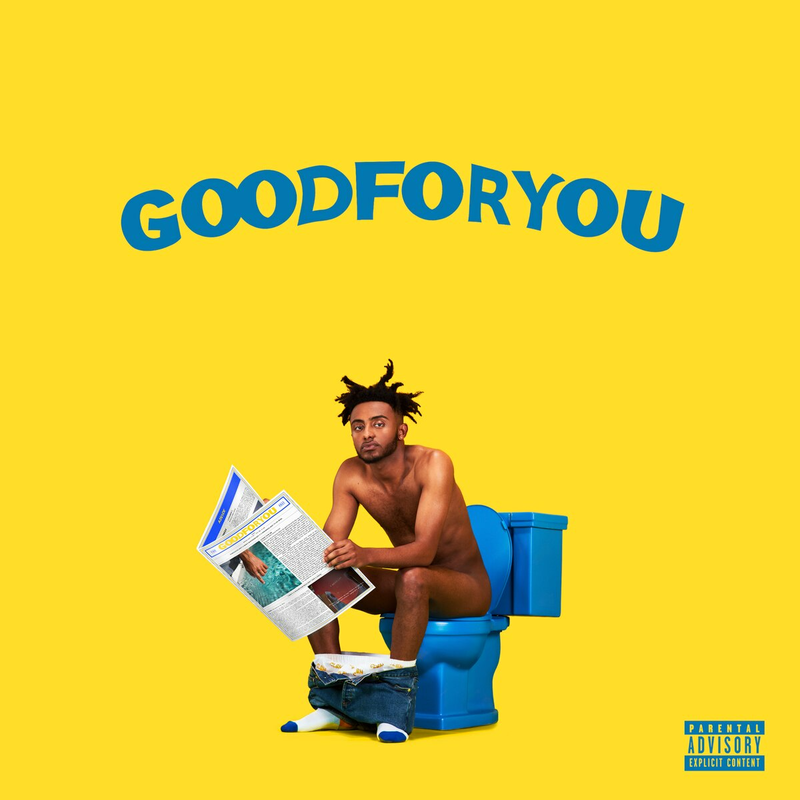 HEAR IT: Aminé's Good for You is out now.